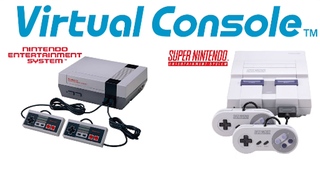 This spring, the Wii U will get its own version of the Virtual Console—you'll be able to purchase and download Nintendo and Super Nintendo games to play on the Wii U and separately on your GamePad. We already knew that a Virtual Console was coming to Wii U, but Nintendo boss Satoru Iwata announced further details—and a spring release window—during a Nintendo Direct this morning. To celebrate the 30th anniversary of the Nintendo Entertainment System, there will also be a discounted program that starts today: you can download Balloon Fight for NES as soon as the Nintendo Direct is over. You can buy it right now for 30 cents. Japanese Wii U owners will be able to get Mother 2. No word on whether U.S. Wii U owners will get their hands on the North American version, Earthbound.